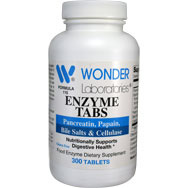 Taking care of our gut and digestion is paramount to maintaining or improving our overall health. A good move in the right direction is preparing and eating the right foods, and a great place to start is with an emphasis on fruits; more specifically, papaya and pineapple, a pair of ‘P’ fruits known to promote a number of health benefits. Both are proficient in bolstering the efficiency and, yes, cleanliness of our digestive tract. Let’s take a look at each type of fruit, the ingredients that make each such a potent health benefactor, and how each is involved in boosting gut and digestive health. Hopefully, even if you haven’t had much of an appetite for either up until now, you will soon develop a hankering for these two fruits, each of which has a history that involved famed explorer Christopher Columbus. More on Chris in a moment. Its color described as cerise-orange, this soft, juicy fruit, grown mostly in tropical climates (to include Florida), per medicalnewstoday.com, is not only delicious but also known for its wonderful fragrance. That might explain why it was described by Columbus as the “fruit of angels,” per organicfacts.net. It is also known as “pawpaw” or “papaw,” and regardless what you choose to call it, it is well-respected for its nutritional and medicinal values. Papaya’s anti-inflammatory properties are rooted in their abundance of enzymes, most notably papain and chymopapain, which are both known for reducing inflammation in various parts of the body, a factor that makes them useful in maintaining/improving gut and digestive health. 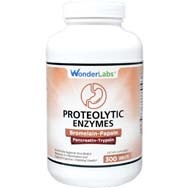 Papain, termed a “digestive super enzyme” by organicfacts.net, breaks down proteins. This enhances digestion while also cleaning the digestive tract and cutting back on the amount of protein that gets converted into fat. Improperly digested protein can lead to an assortment of health issues, such as arthritis, constipation, diabetes, and hypertension. 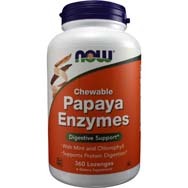 Another interesting feature of papaya is its seeds, which contain carpaine, an alkaloid noted for its ability to kill intestinal worms and amoeba parasites. 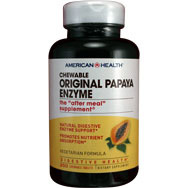 By metabolizing proteins, papaya/carpaine produce what are essentially unlivable conditions for parasites in the gastrointestinal tract. A study of Nigerian children with gut-residing parasites, cited at readanddigesthealth.com, showed that seven days of consuming papaya seed juice ridded the children of 75 percent of the parasites. 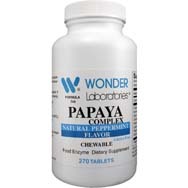 In fact, papaya seeds have shown to be effective in killing bacteria – such as staphylococcus, E. coli, and salmonella, and it can even heal viral infections. One more thing about papayas – because they are loaded with fiber and water, they can work to prevent constipation and promote regularity as part of a healthy digestive tract. In knowing all this, however, be careful not to go overboard in eating papaya; for one thing, papaya seeds are believed to be natural contraceptives. Best you discuss papayas with a nutritionist, dietician, or your physician before making any radical changes to your diet involving papayas. OK, first, you are dying to know the Christopher Columbus connection to pineapples, as touched on earlier, right? Well, here goes. The story, per well-beingsecrets.com, is that Columbus and his crew were among the first Europeans – if not the first – to discover the pineapple, in their case during their second excursion to the Caribbean, in 1493. Once Columbus and the boys returned home to Europe, members of some of Europe’s royal families developed a hankering for it. That’s not hard to understand. Pineapples – like the papaya a tropical plant, although it is one that is spiny and hard-shelled on the outside; softer and sweet on the inside – make for a terrific fruit. They are a nice addition to a variety of cuisines (they blend in well in about any culture), and even their leaves are to be prized – they are used to create the Filipino textile fiber pina, which is also used in wallpaper and some furnishings. Also, like the papaya, the pineapple has at least one other name – it is known as “ananas” in much of the rest of the world. Columbus called it the “pina de Indes” (“pine of the Indians”). Another fascinating tidbit about pineapples: they typically take up to two years to reach full size, although most get picked and eaten when much smaller. Pineapples, again like the papaya, are loaded with nutrients, vitamins, and minerals – with one such compound being bromelain, the one ingredient most closely associated with most of pineapple’s health benefits. 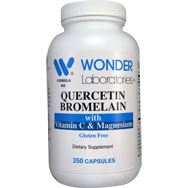 Bromelain, also known as “pineapple extract” – can also be found in nutritional supplements. What exactly, you might still be asking, is bromelain? Glad you asked. 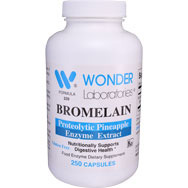 Per well-beingsecrets.com, bromelain is a protein-digesting enzyme found only in pineapple and which can provide numerous health benefits, among them enhancing gut health. Animal studies conducted in Australia have suggested that bromelain, and therefore pineapple, could be workable in countering diseases of the digestive tract by diminishing gut inflammation, thus preventing diarrhea. Also, because of bromelain’s propensity for encouraging protein digestion, pineapple is suggested as a remedy for folks prone to indigestion that results from consuming a meal high in protein, such as steak. Pineapple is also rich in fiber, which helps keep our intestines healthy. Fiber can help bulk up the stool, thus triggering the movement of food at a normal rate through the digestive tract. By bulking up loose stools, pineapple’s fiber can help alleviate issues such as diarrhea and irritable bowel syndrome (IBS). Eating pineapples regularly – and there certainly are worse fates to subject oneself to – can help us avoid uncomfortable bloating as well as constipation and other related issues, per naturalfoodseries.com. Fresh pineapple juice is also alleged to aid in eliminating intestinal worms from our bodies. Papaya and pineapple; put them on your next grocery list. Give your gut a break.